Jace chats with Valiant Senior editorial Director Robert Myers about the current state of their universe. Robert also looks back on the past year and some of the changes at Valiant, as well as a look forward at what is coming soon from the publisher. Jesse than joins Jace to talk about some of what Robert shared and to chat about some upcoming issues including Livewire #3, Incursion #1, Forgotten Queen #1 & the higly-anticipated Life and Death of Toyo Harada. Give us an idea of your role with Valiant. What do you think are some of the best things Valiant did in this last year? What were some of the challenges Valiant has faced over the past year? How do you feel that the valiant team will address those challenges in 2019? What does the road map look like for 2019? What are some of the projects that you have coming this year. Without spoiling, what can you tell us about this years long term goals? What about beyond this year? How much talk and planning goes into the publishing plan for beyond 2019? What would you say to long time Valiant fans who have been a bit worried by recent events? Some very high-quality, successful titles like Shadowman and Ninja-K have recently ended. Again causing worry among fans, is this a product of the industry & the constant restarts or are other factors at work? 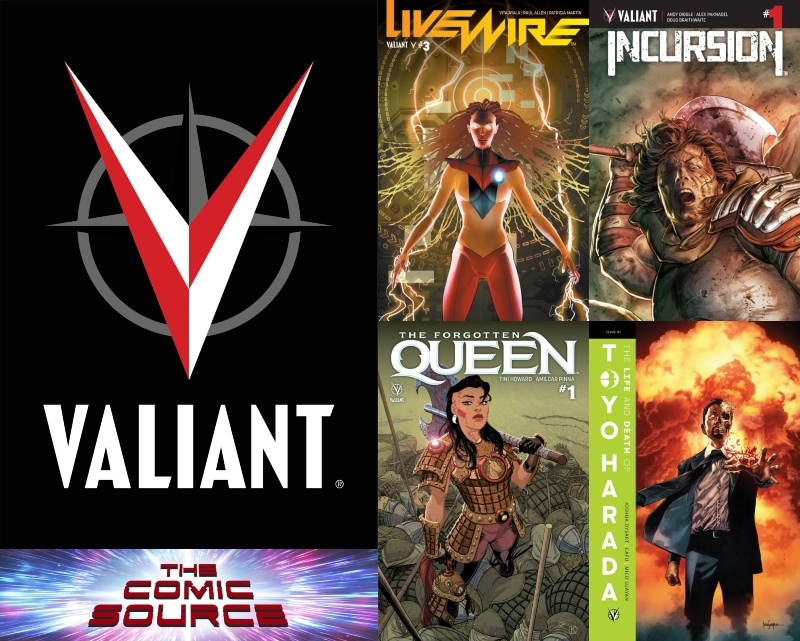 Will we ever see a Valiant series continue indefinitely and reach say 100 issues? What would you say to new fans or prospective Valiant fans about why they should give Valiant a chance?